Urban Outfitters is on the expansion path. Over the course of 2017, the US company opened new stores in Düsseldorf, Stockholm, Vienna and Milan with the latter two marking country debuts. 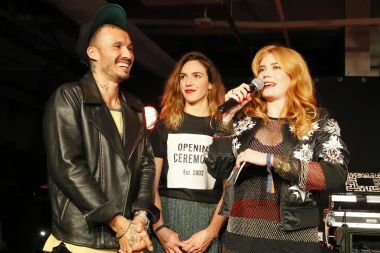 France is next: After being present there only through retail corners at the BHV Marais and Galeries Lafayette, Urban Outfitters is set to celebrate the official opening of its first own store at Rue de Rivoli later this month on February 21. And the year will continue even more internationally with a planned expansion to Israel through franchising partners. Next to the Middle East, also Asia, mostly China and Japan, are on the agenda for the next two to three years. In China, the retailer already started selling through the T-Mall e-commerce platform “and the results are amazing,” says Stefan Laban, global head of URBN International, the corporation behind Urban Outfitters and other fashion and food retail concepts including Anthropologie and Free People. Laban joined URBN in August 2016, coming from Gap, where he most recently worked as SVP of strategic alliances for all Gap Inc. brands. 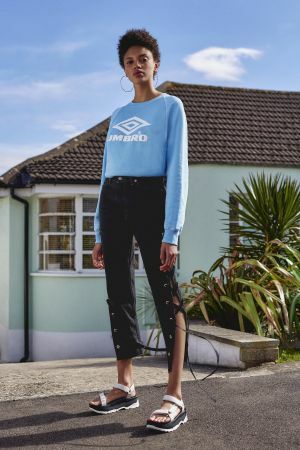 We spoke to Laban about flexibility, recruiting on Instagram and the stumbling blocks of internationalizing a multibrand retail concept. When we last spoke you were still with Gap. What’s your new job with Urban Outfitters like and what have the first one and half years been like? 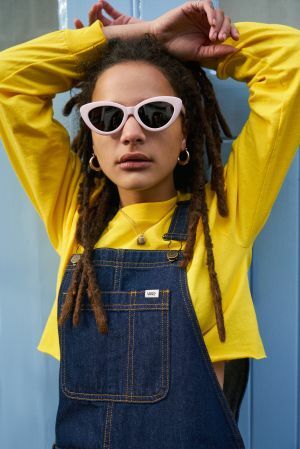 Urban Outfitters runs more than 200 stores in the USA and almost 50 in Europe of which most are in the UK, but it is not present in Asia, not in the Middle East, not in South America–yet. So the company was looking for someone to take care of its internationalization. That and the digitalization are the most important strategic cornerstones for URBN in the next five years. Now I am looking for opportunities to expand the Urban Outfitters and Anthropologie concepts globally. And where are you going to take them? And how? In my first year I have spent more time in Asia than in Europe. There are no concrete openings to report about yet, but if you look at the world, of course Asia bears the greatest potential. We might do the expansion there on our own; we might do it via licensing. When working with local partners, we’d like to close deals for all our concepts at a time–so we do not one to have one local partner for Urban Outfitters and then another one for Anthropologie etc. That of course makes the whole thing rather complicated to negotiate. But the biggest of those markets, we might as well unlock ourselves. The online business is going well for Urban Outfitters, while classic retail is struggling. What do you do to make people come back into the stores? In Germany for instance, store traffic is still good. In 2016, we registered a plus of 4% and also in 2017, traffic increased. In the US however, the mall is having a hard time. Over there, online makes up for 35% of our total business. Our customer is connected and does not care about the channel when he wants to make a purchase. The future is all about the connection of on- and offline. A few years back, you would have said that you need about 100 stores in a market like Japan. Now it’s more about having 20 stores plus putting a larger focus on the webstore, on click-and-collect and pushing our Urban Outfitters and Anthropologie apps. We want to be where our customer is therefore we also run a partner program with Zalando in the German markets, for instance. You still need actual stores in order to unlock a market, I believe. If retail traffic stays as it is and growth comes via e-commerce, we are happy. You still need actual stores in order to unlock a market, I believe. Like, if you want to expand to Italy, you do need a store in Milan and in Rome and the rest can be done online–but without any store at all it would be tough. How about the other concepts? Right now, we only have Anthropologie stores in the US and UK, but we are precisely looking at Germany as a first additional market. Free People already has quite a strong wholesale business here, for instance at The Storey space in Munich’s Oberpollinger or on Zalando. So its expansion will continue to run like this for the time being. Furthermore, URBN also runs an Italian restaurant chain plus a spectacular gardening concept, Terrain. This I would immediately transport to Europe, but that’s not on the agenda: There are only two stores worldwide. What’s the difference of taking a multibrand concept abroad as compared to concepts such as Gap? Internationalizing a concept like Urban Outfitters is three times the challenge as with a monobrand concept. In cases like Gap, you can take the concept one-to-one and export it to Dubai or Brazil or any other market. With Urban Outfitters, every store is different and you have to take all the different brands with you. And these might already have local distribution agreements etc. So you have to speak to all the brands and say: “Hey Adidas, we want to open here and there, what do you think?” But most of the time luckily the brands are very positive about this as they really like to show presence with us. You cannot just take a ready-made assortment from New York and take it to Israel or Japan [...]. Also, the whole thing gets complicated in talks with potential expansion partners: These then want to know which brands we might be selling in three years’ time and we do not have a clue about that yet–apart from a few big names of course. So they have to trust in our instinct and us buying the right brands. And that too is difficult because customers are totally different in each country. You cannot just take a ready-made assortment from New York and take it to Israel or Japan, that doesn’t work. You always have to bring up some dignity and understand a country and also add a local component. If we open somewhere new, we also want to work with local designers. Like, if we opened in Dubai, hopefully 10% of the assortment will be sourced locally. And that is just very complicated. Do you have to buy very differently for the Middle Eastern markets? Absolutley. You have to do that with a partner, otherwise you’ll fail. Like, you cannot show pieces with a skull print there. However, the customer in Dubai still knows exactly what is going on in London, fashionwise. Therefore it takes time to put together such an assortment. Which role do your own brands play in that respect? Our own brands make up 60% to 70% of our assortment, depending on country and store. I think that in many cases, our customer doesn’t even know that brands like our denim line BDG are our own brand and that’s totally fine with us! The great thing about the Urban Outfitters concept is that it’s so flexible. There are brands coming and going all the time. We also buy private brands sometimes. That means that if someone in the US or over here is doing a great product, we go and buy it from them and just add our label. I think in retail you have to inspire your customer and constantly change something. And Urban Outfitters is well prepared for that as the concept is so very non-static. Like right now, beauty is a growing category. That means we can change the assortment accordingly but we can also change the store very quickly with the shopfitting team in our in-house furniture workshop at the back of each store. Let’s say lingerie had two-digit growth rates, then we’d buy more lingerie–and we can buy that externally or make some by ourselves. Our flexibility is what sets us apart from other concepts. Does that mean that you could also imagine opening a much smaller store one day? No. If you are opening up a small store, customers will be disappointed and say: “Hey, but in Manhattan you also sell this and in London that and you don’t have that here!” I think it’s important to offer a selection and not make a store appear as the “diet version” of our flagships. What is your recipe in catering to the ever-demanding, non-loyal customer group of 18- to 25-year-olds? Creativity and the promotion of it. You can feel that vibe in every pore–even Urban Outfitters‘ headquarters is a rebuild old war ship harbor, it’s spectacular. Creativity above all! I am sort of an alien there. I am rather the businessman from outside. If, for instance, a salesman in the store says: “Oh, I would like to invest a few thousand Euros here and there to make the store experience cooler,” then people actually listen. When I was visiting the global headquarters in Philadelphia, I met one other German; a guy from Hanover who is now working in the global HQ, designing ‘80s/’90s retro electronics–that guy has been recruited via Instagram! The team really finds matching people in the most distant corners of the world. Do you have an hour of time? (laughs) Well, I think, in the future, there is only going to be retail without any distinction such as online, stores, etc. And people who do not understand that will fall by the wayside sooner or later. As I said, I believe that the amount of actual stores that a company really needs will decrease. Even Zara does not need 1,000 stores anymore when they can concentrate on e-commerce. There will be a rebalancing. And you can already see that in the USA or in Germany with all those mid-market brands: They are simply going to have a hard time. Will the high street become empty then? No I don’t think so. No one wants to live where there are no stores and the humankind is a social creature and will always want to go shopping together. The struggle right now is to find the right mix of how many stores do I need, how strong do I have to be online, do I have to work with Amazon or not, etc. Big questions! How are you keeping up with such competitors, especially in the fields of speed deliveries? Of course we are always working on a more speedy delivery. At the moment it’s a bit like Zalando is setting the bar and everyone else is running after them. Of course you cannot really compete against Amazon, but if they do one-day delivery and any other company’s delivery takes six days, that that is obviously not a future-proof concept. Right now, if you order from Urban Outfitters in Germany, the goods are shipped from the UK and we are currently asking us questions like: Do we need a hub in central Europe? How big should such thing be? Do we need a warehouse in the UK at all after Brexit? etc. From my experience, when taking a brand to a new market and writing a business plan, logistics is where you usually pot all the money. Because you think, you can deliver things for 50 cents per piece and then it turns out it costs you a Euro and then the whole business plan is screwed up.